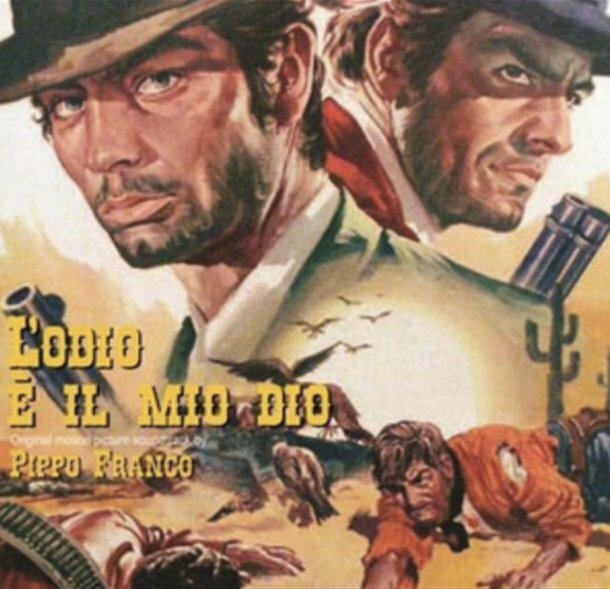 One of the stranger western soundtracks from the 60s Italian scene – scored by one of its most obscure composers too – which maybe gave Pippo Franco a bit more leeway than most to really change things up with his style! The music really moves between a lot of different styles here – from a very playful main theme, to other passages that are almost more trying for sound effects from the instruments than melody, to some modes that are lighter and straighter in tune – yet still kind of mixed up in various ways! Franco seems to have almost an equal ear for sonic possibilities of his instruments as he does their tuneful properties – and he mixes them up in a great way on titles that include "Valzer Verde", "La Samba Del Controsenso", "Riccordi A Quattro Mani", "Il Senso Dell Vita", "Ansieta", "Giostra Impossible", and "L"Americana". CD also features 24 bonus tracks added to the original album! © 1996-2019, Dusty Groove, Inc.